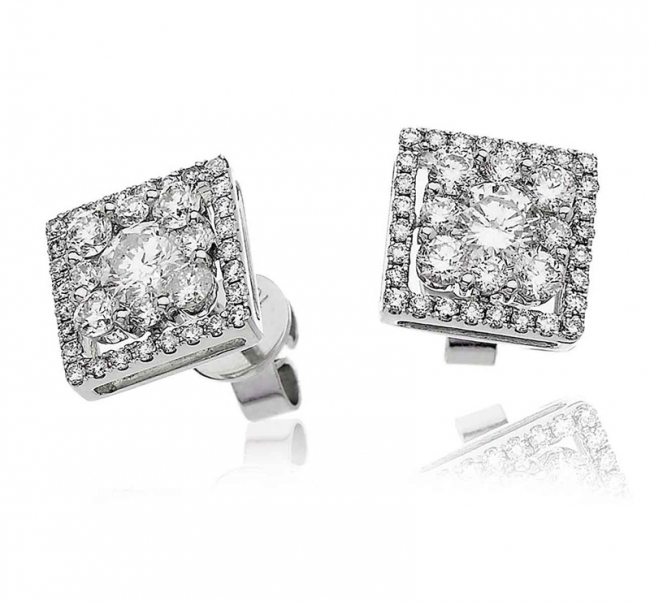 Stunning diamond earrings featuring a beautiful design made up of centre cluster's with surrounding square's of round cut diamonds. These high quality earrings are expertly crafted from solid UK hallmarked 18k white gold using quality certified H/SI diamonds. Delivered free with a luxury wooden gift box, authenticity certificate and a full 12 month guarantee.